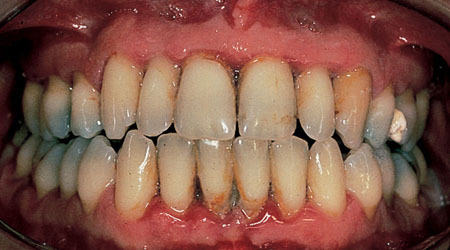 Periodontitis is the more advanced form of gum disease, a major cause of tooth loss in adults. According to the CDC, nearly half of U.S. adults suffer from it. The disease can be reversed in early stages, but damage may be permanent the longer it goes untreated. 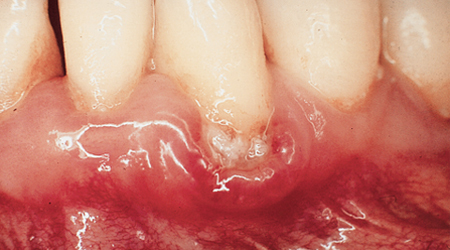 Although you may not be aware of the gum disease in your mouth, abscesses can develop which usually painful. 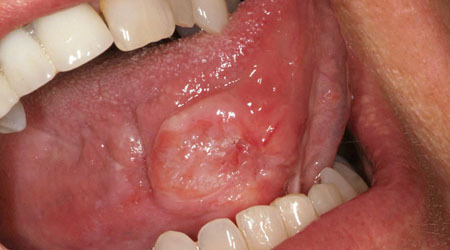 Symptoms include bleeding, swollen gums, persistent bad breath or bad taste, loose permanent teeth and a change in bite. 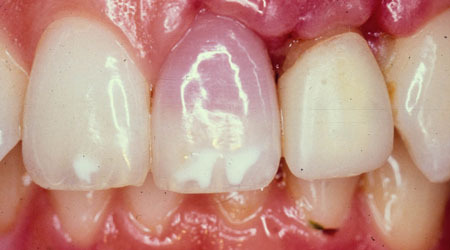 Your teeth may appear to become longer as gums and bone recede. There are many treatments available, including deep cleanings known as scaling and root planing. Talk to your dentist to find out whatís best for you. 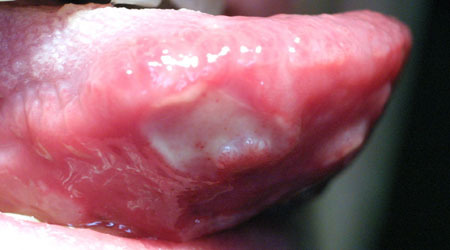 Thrush is a yeast infection that looks like white film in your mouth. Youíre more likely to get thrush if you have an illness that affects your immune system. This includes people with HIV/AIDS or cancer, as well as people using steroids to manage their asthma. People with untreated or uncontrolled diabetes are also susceptible because sugar in saliva encourages yeast to grow. Thrush is also common in people who wear dentures. If you have symptoms, see your dentist. After a scraping to confirm you have thrush, your dentist can prescribe medicine to clear it up.